While traveling back from Canada with my wife and two small children, we pulled off to the side of the road in rural North Dakota during a heavy winter storm. 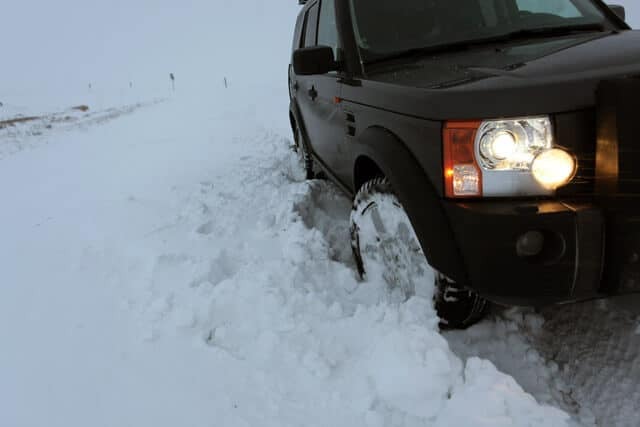 In an attempt to stay out of the roadway, I ended up getting both passenger side wheels of my Land Rover into the top lip of a very steep ditch that was hidden by snow drifts. 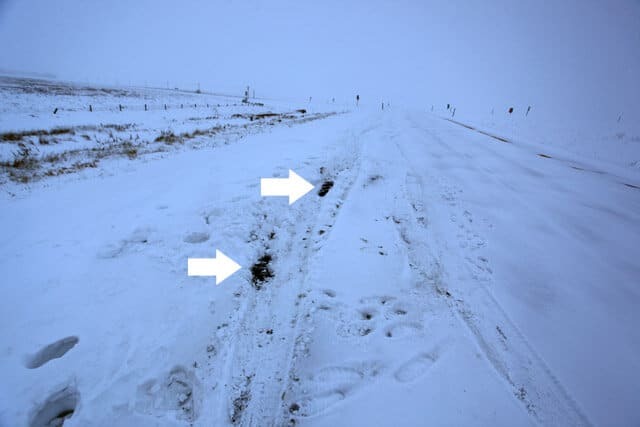 Any time I tried to drive out of the ditch, I would only slip further in due to the incline. Despite the best efforts of the 4 wheel drive vehicle, the more I moved the Rover (forward or back), the deeper it slid into the ditch. I knew that if I kept trying to get out, we would end up being permanently stuck and waiting for a tow truck in increasingly worse winter weather conditions. I decided to grab my GoTreads out of the back. I had two along with me so I placed one under each passenger side tire pointing in the direction I needed my vehicle to move. 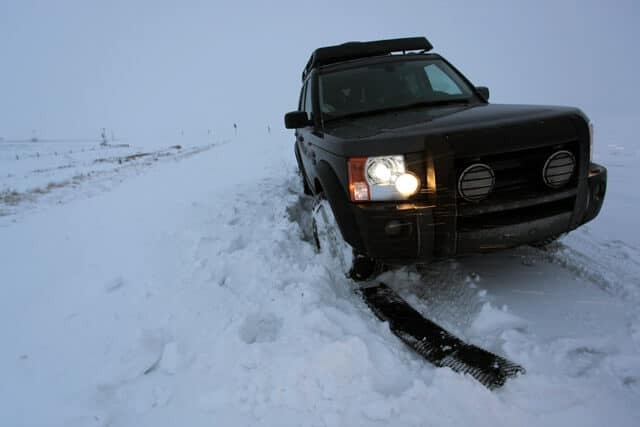 I got back in the Land Rover, put it in gear, and slowly drove right out of the ditch as if I wasn’t even stuck. The wheels did not even spin. We just drove right back on to the road like we were on dry ground. It was a great feeling being able to get back on the road in a matter of minutes. With two small children, the peace of mind GoTreads offers is invaluable. I don’t even want to think about how bad the situation could have become had we slid any further into the ditch with dwindling daylight and increasing snow and wind. We continued on our journey in blizzard like conditions. With the performance of GoTreads in the back of my mind, I was more at ease continuing onward. I now had a proven backup plan should we find ourselves in a similar situation again.